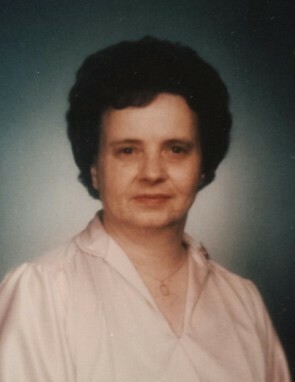 Charlotte Jo Westbrook, 93 of Flowery Branch passed away Thursday January 24, 2019. A lifelong resident of Hall County, Ms. Westbrook was the daughter of the late William N. and Nancy Ethel Phillips Westbrook. She was retired from the Gainesville Times where she worked as the Circulation Manager. Ms. Westbrook was a member of the First Baptist Church of Flowery Branch. Survivors include her nieces, Joann Malcolm, Loganville; Jean McFarland, Roswell; Jackie Kimberly, Fayetteville; Linda Hardigree, Canton; Cheryl Mathis, Fayetteville and very special friend, Doris Smith of Flowery Branch. Funeral services will be held at 3:30 p.m. Sunday January 27, 2019 in the chapel of Little & Davenport Funeral Home. Rev. Paul Wade will officiate. Interment will follow in the Flowery Branch Cemetery. The family will receive friends at the funeral home Sunday January 27 from 1:30 p.m. until the funeral hour.